“It’s like I just walked into the best situation ever,” one graduate said. Morris Young, a graduate of Houston’s community re-entry program, loads pallets with supplies for a city library. 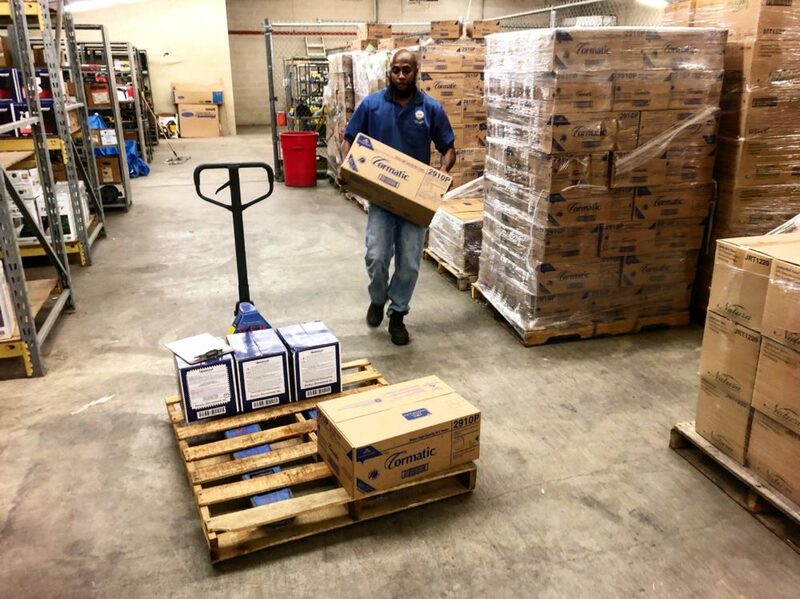 At a city general services warehouse, Morris Young loads a pallet jack with boxes of paper towels and soap going to a Houston library. Young moved to Houston after getting out of prison in Louisiana last April and since then, he’s gone through the Houston community re-entry program and landed a job at the warehouse. Young graduated as part of the 20th bi-annual class of the re-entry program and now works for the city. Employers see attendance of a re-entry program as a sign graduates are good job candidates, said LaTosha Selexman, who oversees the re-entry program. Selexman said over the past 10 years, one issue of increasing importance is behavioral health. “We found that we really need to be able to address people’s behavioral health concerns and we have incorporated that part into what we do with returning citizens,” Selexman said. Selexman said just under a third of people exiting prison in Texas have some form of behavioral health concern, like depression or addiction, so addressing health issues is a large part of helping people find stability. Graduates of the program tend to fair better as they move back into life outside of prison. Houston’s re-entry program sees about 14% of graduates re-offend, lower than the statewide average of 22%.